Are you new to the area and want to meet new friends with similar interests? Or maybe you are looking to learn a new hobby or activity. Have you had a particular interest years ago and want to pick it up again? Or are you newly retired and find yourself with extra time on your hands? The Lake Country Seniors Activity Centre has the answer. All adults 50+ are welcome to come and join us. Don't sit at home alone - loneliness leads to depression and depression leads to despair. Be brave - come and meet new people or reconnect with old friends. Click on the + beside each title in a green boxes below to find out more. The Seniors Activity Centre is located at 9832 Bottom Wood Lake Road, Lake Country (beside the Food Bank and Winfield Arena at the Nexus Activity Hub) and is wheelchair accessible. Someone is in the office at the Seniors' Activity Centre from Monday to Friday, 10:00 am - 2:00 pm. Events and regular activities are held at the Lake Country Seniors' Centre each week. Everyone is welcome. View the current month's Activity Calendar. Email lcscs@shaw.ca or call 250-766-4220 if you have questions or need more information from the volunteers that run the programs and activities. Crib Tournaments - 4th and 5th Sunday of the month with lunch included. Drop-In Thursday Games and Coffee - 10:00 am-12:00 noon. Garden Club - share all your garden ideas, road trips and guest speakers. Art groups - casual, non-professional. Coach will give you guidance. Line Dancing - gentle exercise. Beginners welcome. Music Jam Sessions - country western, rock & roll. Drop in jam. Play or listen. Scrabble - fun and entertaining. 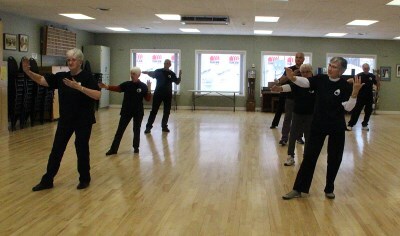 Tai Chi - gentle exercise and healthy benefits. Young at Heart - exercise focusing on increased flexibility, muscular strength and balance for all fitness levels. Note: the Seniors Bus is available to drive you from your home in Lake Country to this event if you do not drive. Frozen meals for can be arranged in person after the Tuesday lunch or by calling the Seniors Centre at 250-766-4220. Have you seen the Lake Country Seniors Bus? We encourage seniors who no longer drive or choose not to drive to take advantage of the opportunities the bus provides in our community. We can pick you up at your home in Lake Country. To reserve a seat on the Lake Country Seniors Bus to get to Seniors' Centre programs & events or for information on trips and fares call Marg at 250-766-3227 or Marian at 778-480-6444. Bus pick up for "Prime Entertainment" at the Lake Country Seniors Centre the first and third Mondays of each month. Bus pick up for "Tuesday Lunch" at the Lake Country seniors Centre every Tuesday. Local shopping every first and third week of the month on Thursdays. Passengers can be picked up at home, shop for groceries, go to the drug store, do banking etc. and stop for a coffee. To Vernon on a Saturday once a month. First for a pancake breakfast and then local shopping in Vernon. Usual shopping stops are: Walmart, London Drugs and Swan Lake. The bus will drive to the Casino if anyone is interested in being dropped off and picked up later for the return trip to Lake Country. Day Excursions for those who like to "hit the road" for the day and enjoy a "getaway". This year's trips have been to Kamloops, Salmon Arm's Hainey Museum, Keremeous and Hedley, the Fintry Fair, informative local area trips, O'Keef Ranch, Lumby Fair and more. Bus Schedules for dates and times of trips are posted in the Seniors Activity Centre on the outside bulletin board, available for pickup inside and in local newspapers.